Looking to start the week with some heavy metal done right? We at DR are hosting the premiere of a new track from India’s Lucidreams that should brighten your spirits. “Mighty Stripes” comes from the band’s forthcoming EP, Ballox, which is due out on April 25th through Transcending Obscurity Records. If you like what you hear, check out the bandcamp widget at the bottom of the page to hear some more, as well as pre-order the album. The song itself is straight-forward enough, following the traditional heavy metal steps of bands like Black Sabbath, Ozzy, and Judas Priest in a way that is sure to please. A solid, mid-tempo gallop carries most of the weight atop some enjoyable (and audible) basswork and some catchy vocal hooks to pool together to create a sound that’s more than the sum of its parts. Some upticks in speed and catchy melodies later on only serve to further impress before the song comes to a close. 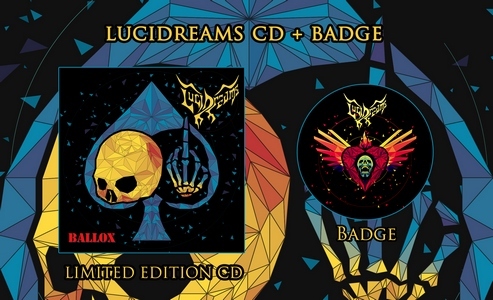 There’s a lot of bands that try their hat at the classic heavy metal sound, and Lucidreams have all their ducks in a row with this track in terms of chops and spirit. One of India’s oldest heavy metal bands return with a fresh album and outlook without abandoning their roots. 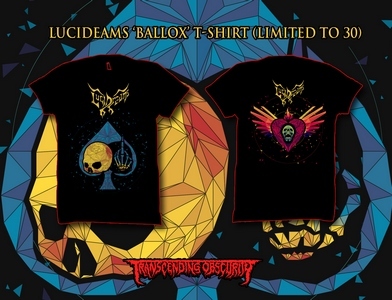 Blending influences of the genre’s greats and adding their own flavour to the mix, LUCIDREAMS possess a unique charm. They churn out five passionate and heartfelt songs that will take you on a nostalgic trip and will have you wanting for more. Reminiscent of bands like BLACK SABBATH, OZZY OSBOURNE, MEGADETH, JUDAS PRIEST and even HELMET, this is heavy metal done right. The stunning artworks only attempt to illustrate the vibrancy of this band’s music. LUCIDREAMS are here to stay.